Dermaroller® medical procedure is administered by a qualified medical practitioner trained in the use and application of this treatment. Genuine Dermaroller ® therapy provides advanced micro-medical skin-needling , a procedure that stimulates skin to regenerate and repair its self naturally and safely, creating smoother , brighter healthier younger looking skin. Your practitioner will use Dermaroller® medical device to produce thousands of micro needle-columns into the skin, each will penetrate into the dermis of the skin approximately 0.1 mm in width. These close quickly allowing the skin to recover quickly. The procedure will take approximately 30 minutes. An anaesthetic cream (LMX4) is applied liberally over the area to be treated for approximately 30-45 minutes prior to treatment. This cream is then removed and the Demaroller® medical device is applied over the skin with several passes, to ensure the most effective micro needling is achieved. Once the skin indicates the Dermaroller® has achieved the optimum effect, (Chiroxy) cream is applied, this will encourage cleansing, calming and closure of the micro-needle points. You will be supplied post care treatments to use, including a high factor sun cream. It is important you maintain use of high factor sun cream and moisturise thoroughly. What can Dermaroller® be used for? Tonic use a very effective local anaesthetic cream (LMX4) applied at least 30 minutes prior to treatment to ensure the procedure is as comfortable as possible. The medical procedure of micro-needling, stimulates the skin to naturally regenerate and repair its self. New tissue replenishes the old and collagen stimulated. This allows the skin to have new stronger, supported skin replacing the old tired, scarred skin that was there previously. Your skin will appear a little red, comparable to that of mild sunburn, this could continue for up 1 to 2 hours post treatment and would normally recover within the same day with only slight redness the following day. Your skin may feel warm and tighter than normal. Use only tepid water to cleanse the face for the following 24 hours and make up can be applied 12 hours after treatment. Your skin initially may appear dry so will need thorough moisturising and protection from the sun. You would expect to see the maximum effects at 6 weeks. Do I need to repeat treatments? 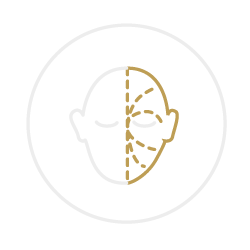 Your practitioner will discuss what your needs are and what you would hope to achieve, for some conditions such as acne, treatments may be repeated at 6 weekly intervals. Dermaroller® is the only medically proven device that provides the correct length, depth and number of micro-needles directly into the most effective area of the dermis. It is important to understand that the procedure must only be done by a fully trained practitioner, competent in the use of micro-needling, there are concerns that damage can occur if not applied correctly or the treatment proves ineffective.